Red screen of death (RSOD) is a critical error in Windows 10. Where the system frequently restarted and makes your system to freeze. Practically this error develops due to malfunction of hardware and software. If you don’t fix this issue it may lead to permanent failure of the system. However, we have a complete solution for this error. If you are facing this issue then, we suggest you to following walkthrough. In this post, we will discuss how to fix the RSOD in Windows 10. What is red screen of death in Windows 10? The RSOD is a critical error with respect to iPhone, Xbox, and PlayStation. You can analyze the issue when monitor screen becomes red as well as the text. It crashes, does not allow modification, and the keyboard or mouse closes all the commands. 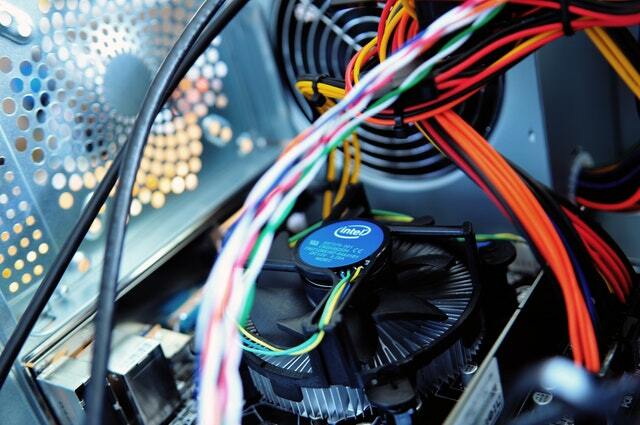 The RSOD on the PC is usually a sign of a hardware malfunction or a sign of faulty process. The RSOD is very rare, but it does not mean a big problem which can make your PC unusable. Moreover, Red screen of death in Windows 10 problem is rarely seen in computers if you compare with the “Blue Screen of Death” (BSOD). As I have said earlier, RSOD error can be seen due to many reasons, which needs immediate attention. It seems like; when you play a heavy game for a long time, or watch the high-resolution video, editing 4k videos, or the system is upgraded to Windows 10 having small space left in your C drive, then RSOD error can be encountered in the computer. The RSOD can arise due to a large number of graphics card problem installations. During the video driver installation, if wrong files are installed this error can be seen. . When the computer starts up, a software dispute can also occur. As I have discussed with you, what is the main reason for RSOD? If we fix all the errors one by one then, of course, we will be able to remove the RSOD. So, check the following solutions given below. It has been seen, RSOD Error can occurs in a motherboard, due to system error resulted from recent GPU installation. Some GPU requires BIOS updates to function properly. These updates sometimes make changes in the BIOS / UEFI. When I installed an Nvidia GeForce GTX 970, I had encountered red screen error frequently because it was created some changes in the BIOS, then I updated the BIOS, and, the error text was solved. If you are having same problem you should update the BIOS. . Remember, while updating the BIOS / UEFI, you must clean BIOS / UEFI entirely and reinstall a new copy. However, BIOS updates are not making your computer faster, generally, it cannot add new features that you need and there can be an additional problem if you do not update it properly. If you genuinely need BIOS up-gradation than only it should be done unless, it may be risky and a new error may arrive at any time. Many gamers over clock their processor so that the resolutions of the games are enhanced. But, it leads to too many problems in future. Over-clocking can increase the base operating frequency of processor by Front Side Bus (FSB). First, the clock frequency can be changed by changing multiple settings in PCs system. However, it is locked in the most modern processors. Changing FSB frequencies is the only way to make the faster. For FSB frequencies, the motherboard’s voltage setting is adjusted. Because the processor gets heated due to increasing frequency, you need to add the cooling system to avoid any such heating issues. Due to increase frequency, your CPU or GPU may be unstable, and this is a big reason for RSOD and BSOD. In the worst case scenario, you can damage your hardware permanently. Removing over-clocking settings are usually done by the BIOS and are different for each BIOS type. If you have installed a powerful graphics card, and your SMPS is weak, which fails to power the whole components of a CPU, then, the RSOD could be common. Besides CPU, the computer’s graphics card is the most power consuming component of the system. A possible target is to show the initial signs of decreasing GPU. When the graphics card is reduced, performance decreases and graphics are displayed with lesser quality. Even if you are using a bad power supply, your graphic card will not provide enough power to give you a child’s performance. If you have good power supply, your frame rate will not increase, but it can protect you from crashing. A weak power supply can definitely damage your components by voltage spikes, and probably will not distribute in all components. Due to damage to hardware such as DVD-RW, graphics card, HDD, motherboard, poor electrical supply. When you turn on PC, they are automatically stacked or restarted and restarted. Randomly app crashed, frequently system restart, and BSOD and RSOD are all the problem of computers if it doesn’t have enough power. As with graphical errors, system instability features are often followed to add new hardware or to update existing components. Disconnect as many as unused components. Disable all unused heavy application. To maintain good power supply of graphics card you can disconnect additional hard drive, DVD-RW, USB as many as possible. The older the hardware, the more vulnerable it becomes with technical flaw in it. 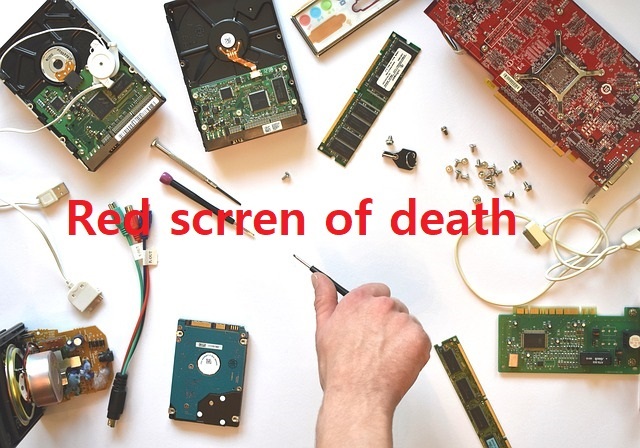 Due to hardware defects, the system gets disturbed, causes the system to crash, because of this there is an occurrence of red screen of death frequently. Check the following component, whether it is malfunctioning or not. If there is any error then, the system will crash and could encounter BSOD. Check all the contents of the motherboard, whether they are running properly. Check connection. If you are sure the hardware is down and it has not been rebuilt then brings it to the repair shop. RSOD can be due to hardware technical errors, but troubleshooting is the same. To fix the issue, make changes at every step as we have discussed till now. When your computer turns slower, of course, you look for which app is running in the background. So, you open the taskbar that can display what application is running. Here, you will find a softOSD.exe programme is running. But the softOSD proves to be very bad if it runs in your computer and could freeze your system. Also, practically it has been seen that this software is responsible for RSOD. So, this would be better, if you remove this software from your PC completely. 2. Open the Program and features. 3. Here, you will find softOSD, click on it, and remove this software. If you do not update your computer driver, then this problem can come. Suppose you have a video card, the company needs its driver software updates on it so that it can fix bugs. To update your driver software, I suggest using driver easy software, because it is easy to use and free. 1. Download the driver easy software from its official website. 2. Let him scan your PC. 3. It will show you all available update needed in your PC. 4. Download all updates one by one. There are a lot of reasons for the registry error in Windows which bring red screen of death. Let’s understand in brief, you do not require updating windows regularly, do not run those software that brings registry error problem and avoid use of patches to crack software. Things to know to fix the registry error. 1. Update your Windows 10 regularly. 2. Use Glarysoft to fix the registry error.